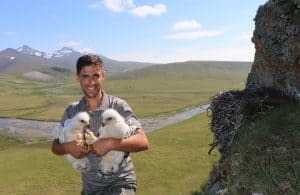 In this NRN guest blog, Dr Barry O’Donoghue, Head of Agri-Ecology with the National Parks & Wildlife Service, at the Department of Culture, Heritage and the Gaeltacht, gives us his thoughts and opinions on how the European Innovation Partnership for Agricultural Productivity and Sustainability (EIP-AGRI) initiative can play a fundamental role in ensuring a brighter future for rural Ireland and its heritage. In April 2016, I remember sitting with a farmer in one of my favourite places in Ireland, the Derrynasaggart Mountains. These Mountains straddle the Cork and Kerry border – perhaps the very mountains referred to in the great song “Whiskey in the Jar”. There is a certain music to these mountains themselves; literally and metaphorically. The music of Seán Ó Riada can be heard emanating from mass in Baile Bhúirne, wafting up across the farmland towards Mullach an Ois at 649m above sea level, with the RTÉ Mullaghanish Mast standing 225m tall on top again, beaming out music to radios across the south. The lambs and ewes are calling across the mountains and valleys, while the Raven, the Cuckoo and the Skylark add to the soundtrack. Green fields sit beneath “rae” (dry heath); streams and rivers make their way downwards; while patches of willow and birch scrub, and pockets of native oak woodlands finesse the landscape. The farmer and I are sitting hoping to see one of Ireland’s rarest and most magnificent birds – the Hen Harrier. 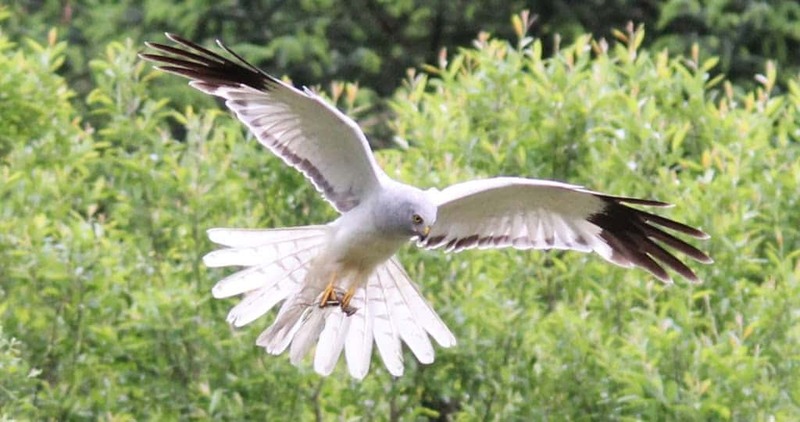 April is the time of the year when one can witness the spectacular ‘sky dance’ of the male Hen Harrier – one of the greatest sights you could ever wish to see in nature anywhere across the globe. The farmer has continually updated me on the sightings he and his daughter have had of the birds on their lands, since I began as a Ranger with the NPWS there over a decade ago. Since 2013 though, I have been looking after the Agri-Ecology Unit of NPWS, where I am in suits more than boots, so I tend to have mainly just the weekends to get out and look for wildlife (one of the trade-offs for the great position that I now find myself in with NPWS). The talk between the farmer and I turns to a local school, in Carriganimma on the other side of Mullach an Ois. The school was at risk of closing due to low numbers. Closure would be a massive blow for the community. Local pubs, the local creamery, a petrol pumps and the post office have already been lost in the few decades my friend has been farming. The parents of the school children there clubbed together and offered to buy uniforms and books for any new children that would enrol in the school, for example from the towns of Millstreet or Macroom. The plan succeeded and a couple of new pupils enrolled, so Carriganimma school was saved! We look across the landscape and he points to all the farms that have been lost. Family names rhymed off, but no fields to associate them with; given they have been replaced by forestry. “European Innovation Partnership” are words that come from my mouth and seem as incongruous in the townland of Com na Cloiche as a saxophone in a Seán Ó Riada composition. I explain to him that a new scheme is being developed for Hen Harrier Special Protection Areas, to help the declining Hen Harrier population (this SPA is down to just two breeding pairs; a staggering decline of 60% in a decade), by supporting the local farmers to support the habitats the harriers and so many other fragile species depend on. “It will be classed as a European Innovation Partnership, an EIP”. When broken down into its elements, it actually makes perfect sense. It is co-financed by Europe. There is certainly a great degree of innovation involved. It is a partnership approach; with farmers and ecologists in particular working most closely together. Fast forward to December 2017. In the same Hen Harrier SPA (Mullaghanish to Musheramore), Minister for Agriculture, Food and the Marine Michael Creed TD is standing in a field that remains like an island surrounded by a sea of forestry, launching the Hen Harrier Project with local farmer Jack Lynch and an excellent management team, headed by Fergal Monaghan. This is the first EIP in Ireland and is a concept that developed between the Department of Agriculture and the National Parks & Wildlife Service of the Department of Culture, Heritage & the Gaeltacht. It has now become a real thing and is live. 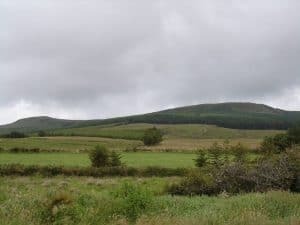 Whether it is known as an EIP in Com na Cloiche or Drommada More (Glanaruddery Mountains) or Reynclamper (Sliabh Aughty) or Knockanearla (Sliabh Beagh) remains to be seen. What is sure is that there are hopes and goodwill that the project will help the Hen Harrier and various other native wildlife, but importantly also that it will help the farming families that share and shape the landscape. The additional income could well be the difference between a family leaving farming or continuing. It could be the difference between a young farmer seeing the land that has been passed to them from previous generations as something to be proud of; that they are looking after one of Ireland’s rarest pieces of natural heritage and that they can in turn derive some income from that, so that keeping stock on the hills in addition to the day job is something worth committing to. It could then be the difference between a couple of school children attending the local national school or not. The Hen Harrier has the potential to keep people on the land and the people have the potential to keep the Hen Harrier on the land. Let’s hope this partnership succeeds. 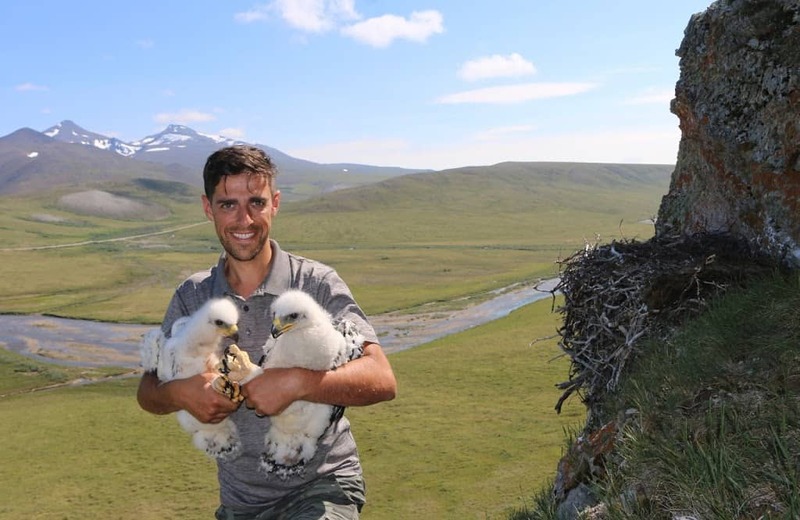 The innovation shown by the local parents to keep the school alive will hopefully come to bear again across the Hen Harrier SPAs and save the remaining biodiversity just in the nick of time. In an age of seemingly unstoppable march of populations towards larger towns and cities, this is as important for Europe as it is for the local community. There are so many areas across rural Ireland, with their own individual stories and histories. Areas rich in natural, social and cultural heritage. Local solutions for local issues, supported by central Government and Europe appears to be a good recipe and we are all hopeful that the European Innovation Partnership approach, which will be rolled out across a suite of areas and issues, will prove to be a successful one. These initial pilots will inform future engagement with and of local communities to provide a brighter future for rural Ireland and its heritage.